The BlackBerry Z10 and BlackBerry X10 are both expected to be introduced on Wednesday along with the new BlackBerry 10 OS. And since it looks like all of the heavy lifting has been done, why not also note that some OEM cases for the Z10 have been produced. Surely they will be ready in time for the launch of the phone. After all, who wants to buy the latest and greatest BlackBerry model only to have it smash into a million pieces the first time you drop it? 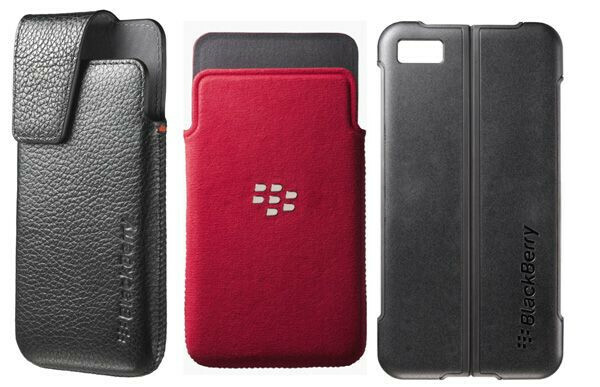 Based on the picture accompanying this article, the BlackBerry Holster, microfiber pocket pouch and the BlackBerry Transform Shell, all for the Z10, appear ready to stand between the phone and harms' way. Starting Wednesday, these cases will be available for pre-order along with batteries and other accessories. And who knows? Perhaps you will be allowed to reserve a BlackBerry 10 flavored handset on Wednesday, as well. Haha blackberry is doing everything in their power to hype this up, I hope it fails. I get a kick out of businesses stomping each other out till death. No, they are doing everything that is necessary to run a business. its about time people started havin choices other than android or iOS! I am an android user but I wouldnt mind if there was WP, BB10, Tizen, Gecko, Ubuntu, etc based phones out there...its always good to have diversity and choices. I would prefer to have choices when I dont need them rather than need them and dont have them! 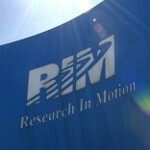 I actually wish RIM the best. Only thing is they have an excruciatingly heavy lift ahead of them. The level they have to play at to play an A game got higher in the period they were absent from the market - much higher. Just ask MS about that. For that matter, ask Apple. i really appreciate what RIM's new CEO is doing, unlike the ex CEOs, he is open minded, and actually knows how strategy works; he was keeping his enemies close by using their products, such as the galaxy s3, while the ex CEOs never used any other device other than the BlackBerry... My opinion is that RIM's leader has the vision, and I expect him to move the market. one of the awesome thing about blackberry is that they make their own cover which is very high quality.